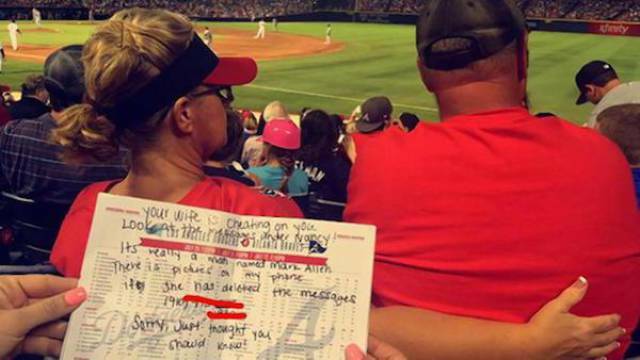 Sisters, Brynn and Delana Hinson were at a Altanta Braves baseball game when they saw a woman texting a man named Mark Allan on her phone under the name, Nancy. The decided to tweet the saga online and even wrote the woman’s husband a letter informing him of his wife’s indiscretion. 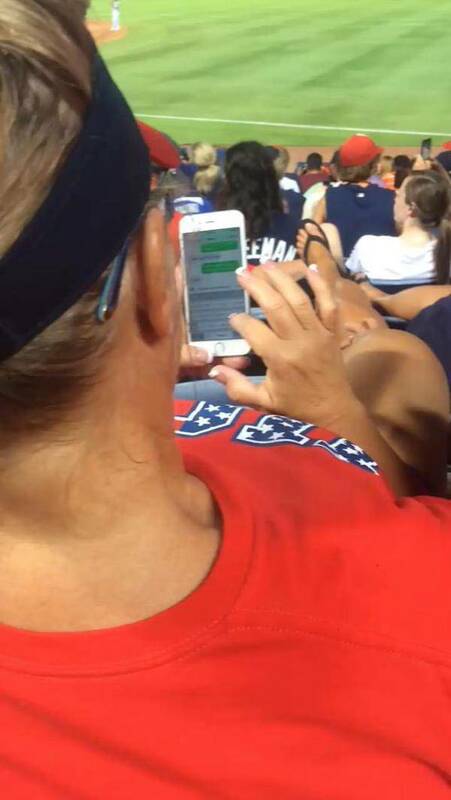 A woman who was apparently cheating on her husband was busted at a baseball game in Atlanta by a pair of eagle-eyed sisters sitting right behind her. Delana and Brynn Hinson posted images on social media showing what appeared to be a woman sexting someone who is not her husband. 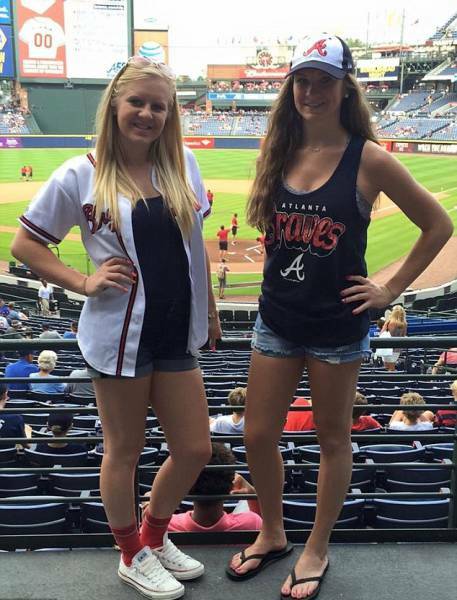 The Hinson sisters say the woman’s spouse had been sitting next to her at the time, watching a game between the Atlanta Braves and Los Angeles Dodgers at Turner Field. “I will be naked… laying on the ground” one of the messages reads. 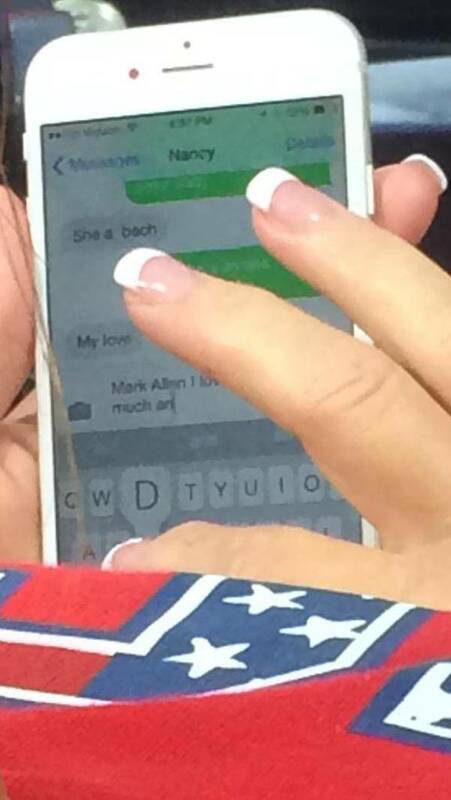 “Mark Allen I lov … much,” said another text, partially obscured by the woman’s hand. 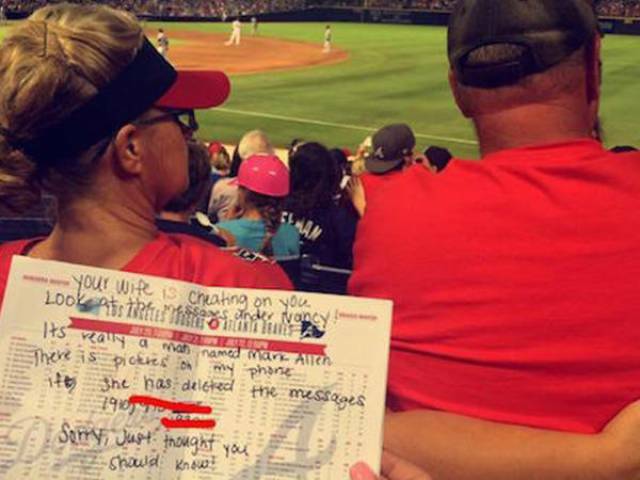 The two wrote on Twitter that they handed the sheet to the man after the game, who looked at it, gave them a thumbs-up and later sent a text asking for the photo. 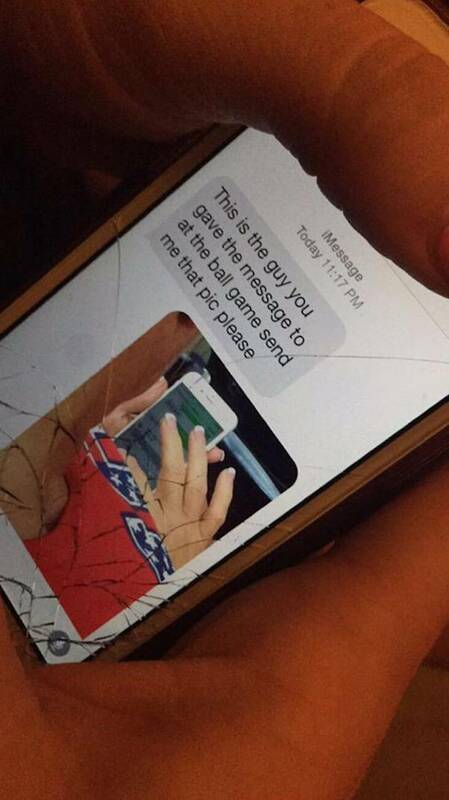 Brynn also tweeted that she hadn’t heard from the man since that text, so she doesn’t know what happened next. 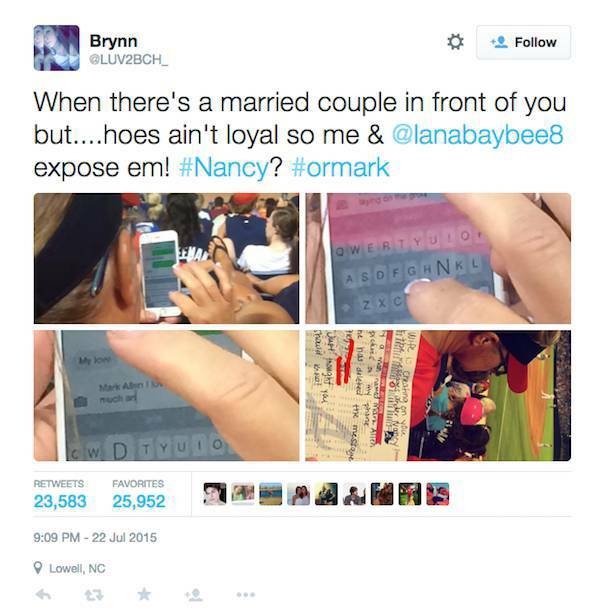 0 responses to "Cheating Woman Gets Outed on Twitter by Concerned Strangers (8 pics) "